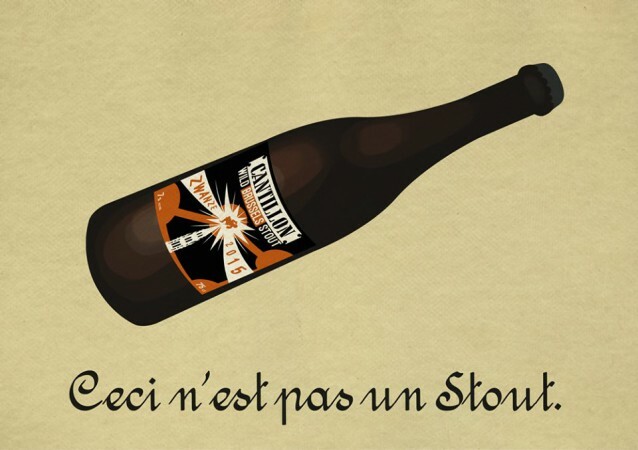 Once a year, Cantillon brewer Jean Van Roy shares just over 50 extra-special kegs of Zwanze, a wild Brussels stout, with a select group of beer bars and restaurants around the globe for a world-wide Zwanze Day "simultap." Legendary beer destination Monk's Cafe (264 S. 16th Street, 215-545-7005) is honored to be the only Philadelphia bar tapping Zwanze, at precisely 3pm EST on Saturday, September 19. Join us on Zwanze Day to hoist a glass with wild beer lovers around the globe, while raising funds for Fair Food Double Dollars. "One hundred percent of the listed price of Zwanze and other rare Cantillon on draft is going straight to Fair Food Farmstand's Double Dollars program," says Tom Peters, co-owner of Monk's Cafe. "Double Dollars provides SNAP (Supplemental Nutrition Assistance Program) recipients with a dollar-for-dollar match on groceries purchased at the Fair Food Farmstand." Last year's Zwanze Day festivities raised over $5,000 for Fair Food; and this year Peters is even more ambitious. "Whenever we have the privilege of pouring these rare, remarkable beers, we use it to raise funds for Philadelphia's more vulnerable citizens. My goal this year is $10,000." Zwanze Day will be rounded out by a selection of rare Cantillon on draft, as well as a few special surprises. Since Monk's Cafe is donating 100% of the sales of these rare beers, this event is CASH ONLY. Zwanze Day T-shirts will also be available for $25 each, with 100% of the purchase price benefiting Fair Food Double Dollars. With an inclusion of unmalted wheat, this one-off "surrealist stout" has the dry and tart notes of spontaneous fermentation, with the roasted, slightly burnt and delicate chocolate flavors of stout. Aged 28 months in casks that held lambic, Côtes du Rhône wine, and Cognac.